This 1.77 x 1.18 deg. 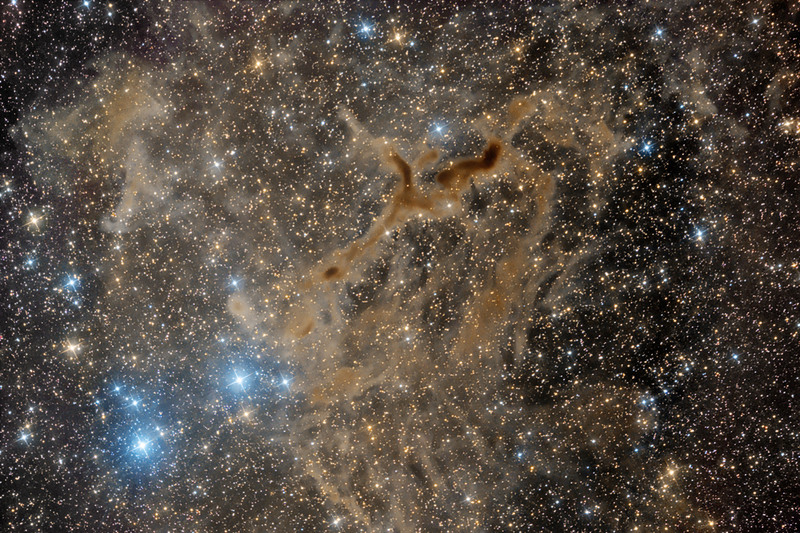 field in Cassiopeia contains several dark and bright nebulae (see mouseover). Embeded in LBN 603 are dark nebulae LDN 1295 and 1296, as well as TGU H809 and TGU H807 (Tokyo Gakugei University catalog).